There's only one thing worse than getting 12 inches or more of heavy snow you weren't prepared for: worrying about how you're going to move it. Don't risk your back again this winter. People aren't made to move snow, and that's why we have snow throwers to do the heavy lifting for us. The right snow blower makes a blizzard easy to tackle, and even a little fun, too. Plus, you'll be amazed at how much easier, faster, and safer they are than risking serious injury by using a shovel. Electric snow blowers are capable of clearing light snow (less than 12 inches) from sidewalks and small driveways. These extremely lightweight machines are commonly used on decks and steps where larger gas-powered models simply don’t fit. 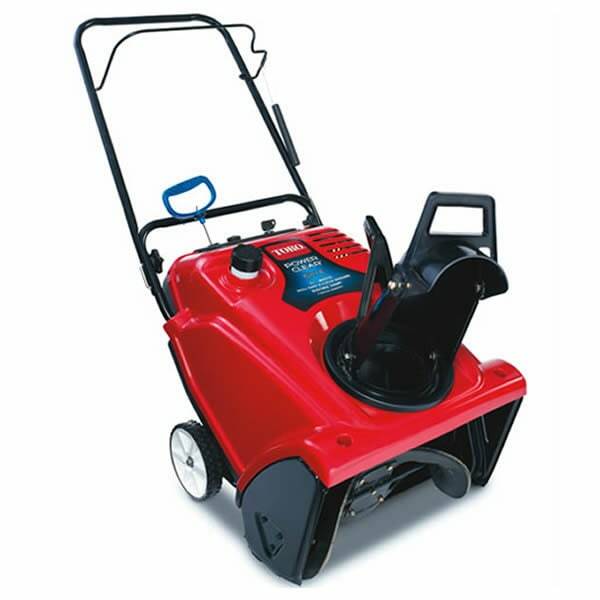 Electric snow blowers are virtually maintenance-free and eliminate the need for oil changes or fill-ups. All you need is a cold weather extension cord and an electrical outlet and you'll be clearing your driveway in seconds. In very basic terms, these gas-powered single-stage snow blowers only throw the snow once with an auger that scoops up the snow and throws it out the chute. These gas-powered units are the lightest, smallest, and easiest to handle. They have some basic features and accessories available and are great for suburban areas that get moderate snowfall. If you don't mind clearing your driveway multiple times during a snowstorm, this price point might be great for you. Since the auger paddles actually make contact with the ground, you should not use a single stage snow thrower on gravel surfaces, or you'll risk injury to others or damage to your driveway. Though single-stage snow blower models vary across brands, most are typically 18-22 inches wide and meant to handle snowfalls up to 8-12 inches. The most limiting factor, however, is their height—not the width. If you’re frequently battling 12-inch snow drifts, a single-stage snowblower won't be powerful enough; you'll need a 2 or 3-stage instead. 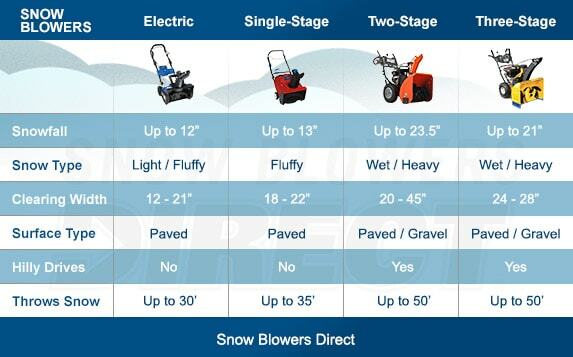 Two-stage snow blowers, on the other hand, outperform both electric and single-stage throwers in every category. 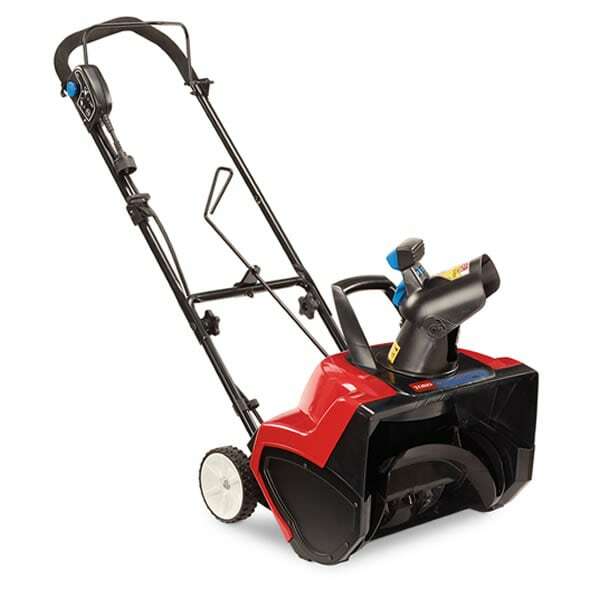 These powerful machines can handle upwards of 18+ inches of snow with ease, and their heavier, sturdier design helps you tackle deep and heavy snow without slowing down. The distinct difference is that these blowers throw the snow twice. First, a metal auger scoops up the snow and ice. Then, a high-speed impeller throws it out through the discharge chute to keep the snow moving and prevent clogging the intake bucket. The auger on a two-stage snow blower doesn't touch the ground, so they can be used on gravel and concrete. Plus, they feature taller buckets capable of tearing through the snow drifts and pile-ups at the end of your driveway or mailbox. 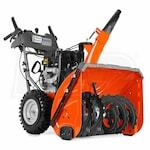 If you need to clear large, deep expanses of snow, you’ll appreciate the wider and more powerful two-stage snowblower. 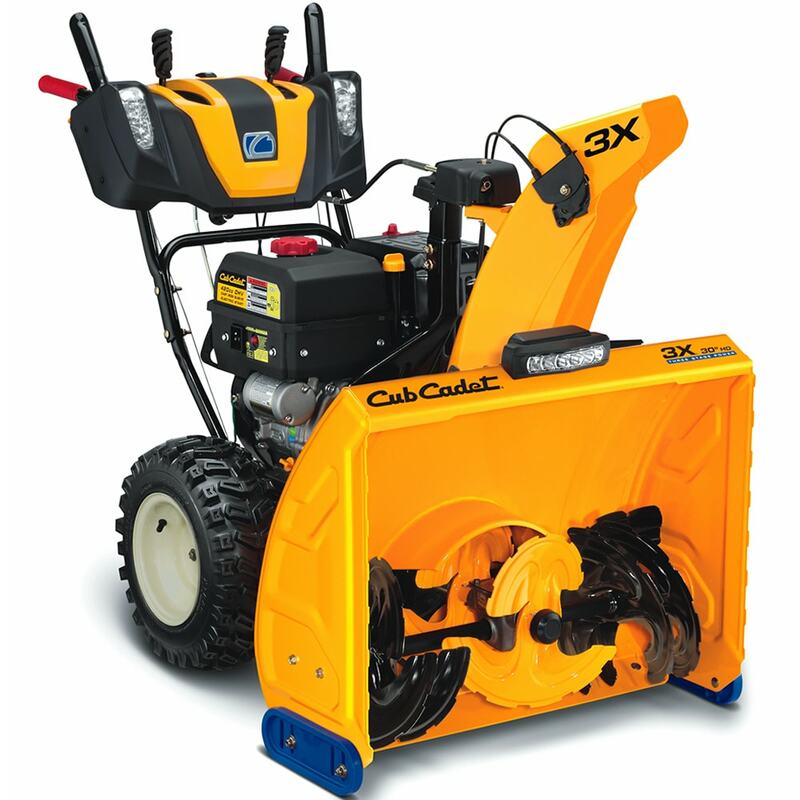 Three-stage snow blowers are the most powerful and efficient snow blowers on the market. First, two metal augers scoop up the snow and ice. Then they move it toward the center of the unit where an accelerator chops and pushes the snow through the impeller, launching it out of the chute at high speed. These blowers have all of the features you need to make sure your time spent removing snow isn't just comfortable, but also easy. Some popular features on these models can include self-propelled wheels, heated grips, and single-press chute control. If a snow plow leaves frozen, compacted walls of snow at the end of your driveway, this machine will plow through 20+ inches high heaps while launching it 50 feet away. Snow Blower Buying Guide.. Our Power Equipment Direct how-to library can help you learn about Top-Rated & Best-Selling Three-Stage Snowblowers, Farmers Almanac Winter Weather Predictions and Proposition 65 Product Labeling.